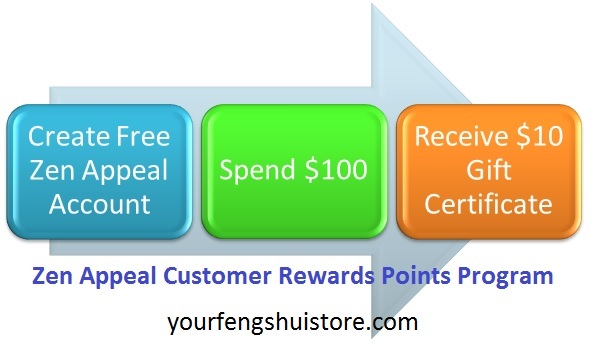 Zen Appeal Rewards Points Program. Earn 1 point per dollar spent. 100 points = $10 towards next purchase. Save $10 Off your next Zen Appeal order!